Can You Believe This Crazy Rainbow Corn Is Natural? Rainbow corn is here to stay. 4 Are Ancient Grains Better for You? When rainbow corn popped up on our radar we had lots of questions. Is it genetically modified? How is such gorgeous corn possible? But this new variety of “glass gem” rainbow corn isn’t only the prettiest veggie we’ve ever laid eyes on; it’s also 100 percent natural. Delish explains that this beautiful new variety of corn comes from farmer Carl Barnes in Oklahoma. Barnes has been naturally crossbreeding different traditional corn varieties and working on the “glass gem” corn since 2005. 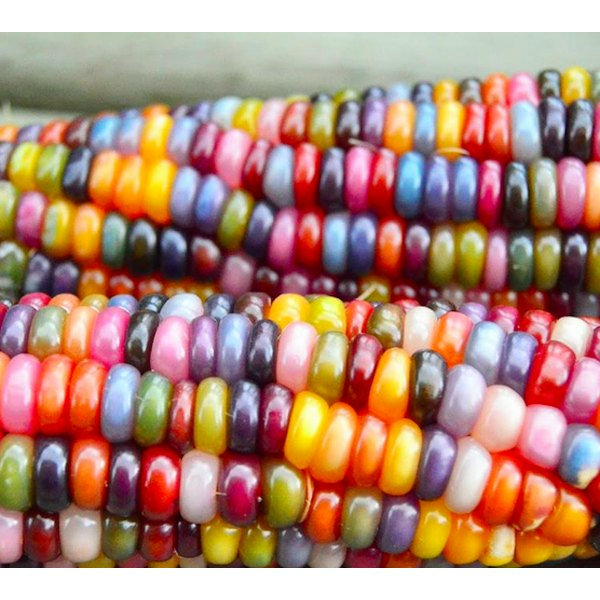 The rainbow kernels are created from a crossbreed of Pawnee and Osage heirloom varieties that can range from singular colors of icy blue to shades of pink and even straight-up rainbow mix-and-match for the coolest-looking corn around. While the kernels are beautiful, the pigment is actually on the pericarp (outside skin) of the kernel, so the corn will still appear white if popped. Refinery29 reports that rainbow corn crops are popping up all over the world — from Kenya to Mexico — due to the spread of Barnes’ corn seeds by Mother Earth News reporter Greg Schoen, who spent time researching glass gem corn and passed it along to the farmers he met in his travels. So it looks like more and more rainbow corn might be on the horizon. 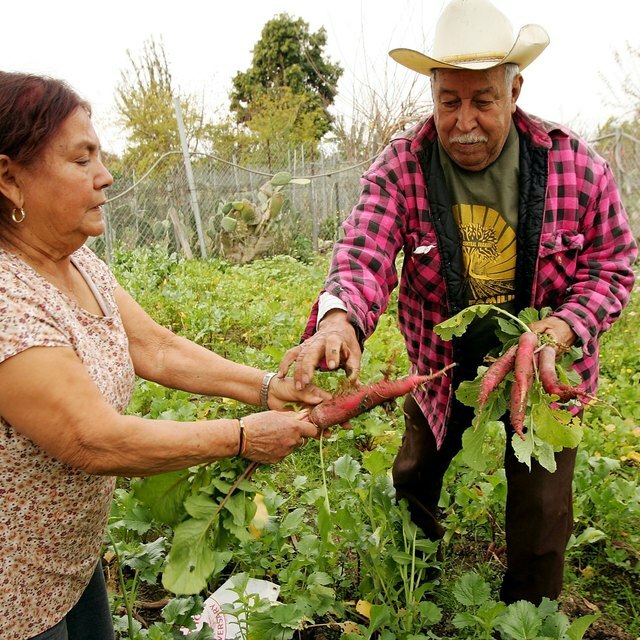 Though this new rainbow corn color may sound strange, humans have been dabbling in changing the colors of fruits and vegetables naturally through crossbreeding since the beginning of organized agriculture. In fact, did you know that carrots were originally bright purple and yellow but were later bred to be orange? Yup! The moral of the story? While some fruits and vegetables might seem like they must be genetically modified, sometimes nature has figured out a way to be even more interesting with a little help from crossbreeding. Have you ever seen rainbow corn? What do you watch out for when it comes to GMOs? Would you buy vegetables or fruit in novel colors? Let us know in the comments!